Your complete water source since 1962! 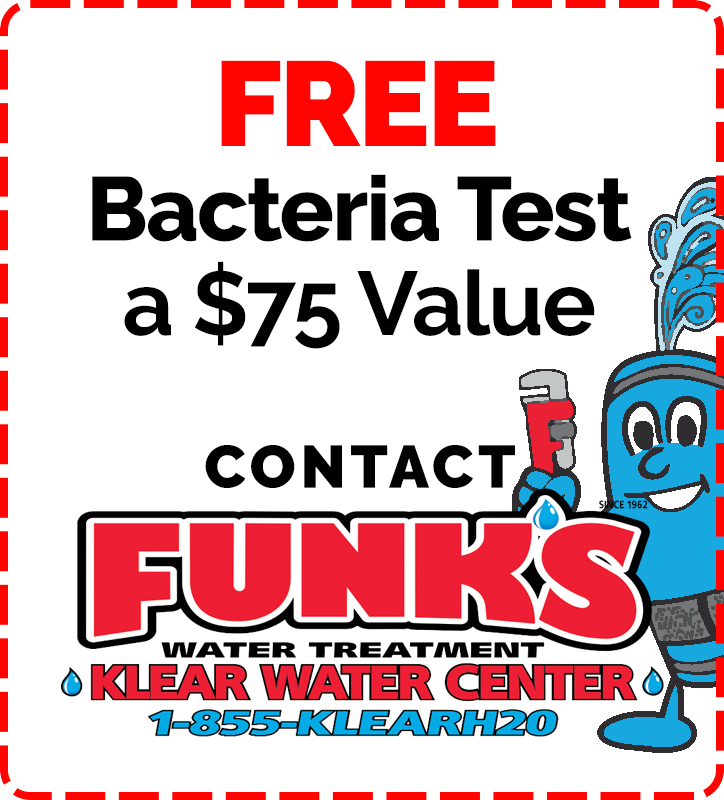 Funk’s Water Treatment has been testing water and installing treatment units for over 20 years. We have a new Klear Water Center at 1530 Commerce Avenue in Carlisle. 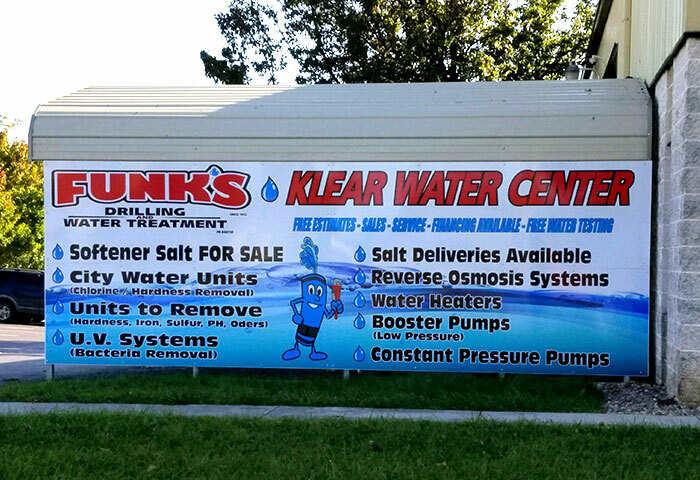 We offer water testing, salt sales, equipment sales, and service from our new store. 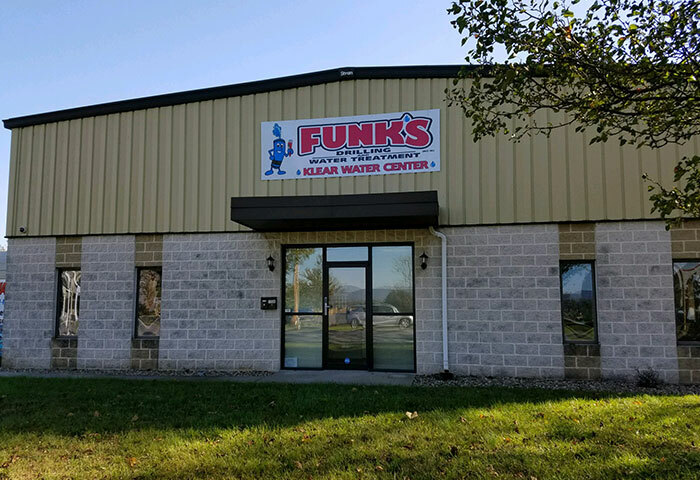 Funk’s Water Treatment provides residential, commercial, and agricultural treatment systems. We can treat all your problem water needs and even offer treatment units for city water. Stop in at our new Klear Water Center or contact us so that we can help you with your problem water. Take Advantage Of This Terrific Exclusive Offer!